Question: What is the best way to drain a water heater? My water heater has never been drained. I have a 50 gallon electric water heater that is 5 years old. I would like to flush it out for preventative maintenance purposes. I have heard that draining it will make it last a little longer. I was told by a plumber that flushing out a water heater will allow the water heater to heat the water faster and more hot water will be available. Is there anything I should know before I attempt to drain the water heater myself? Can you also tell me all the benefits of draining a water heater and how often I should flush it out? What is the easiest, safest, and best way to drain my water heater? 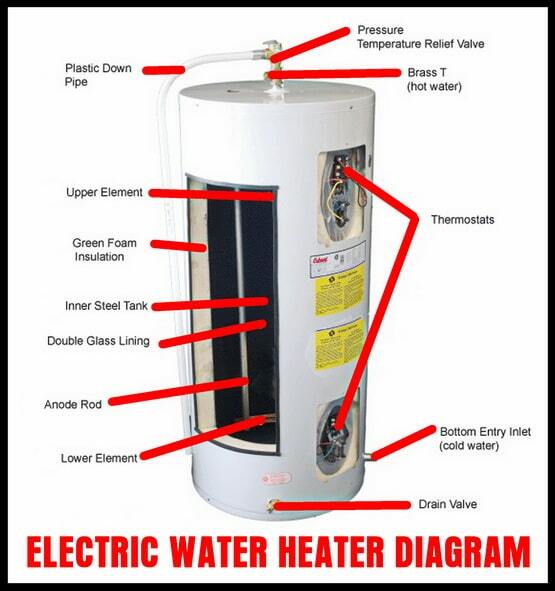 Electric Water Heater – How To Drain? 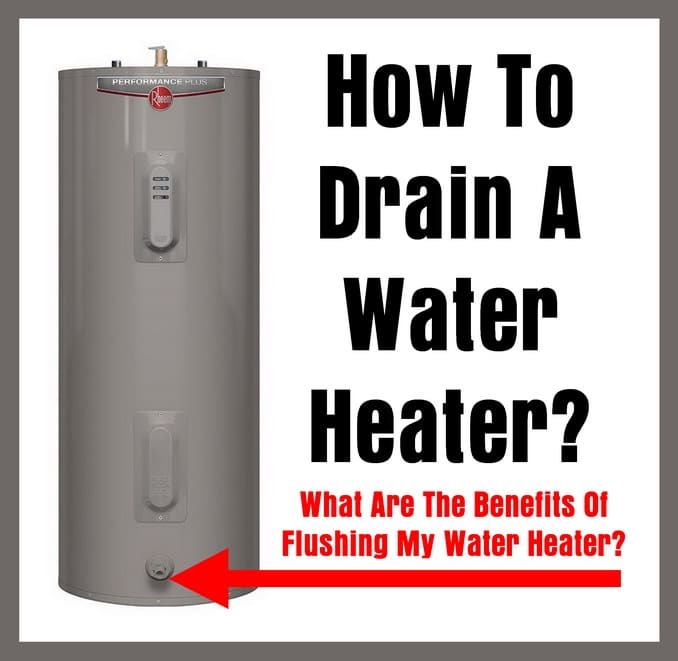 Why Should I Drain My Water Heater And How Often? – What Are The Benefits? 1 – Draining Once A Year Extends The Life Of Your Water Heater (Lasts Longer). 2 – Save Money On Your Electric Bill or Gas Bill. 3 – Heats Water Faster When Sediment Is Removed. 4 – More Hot Water Available When Sediment Is Cleared Away. 5 – Reduces Cracking And Popping Noises. Why Do I Need To Flush My Water Heater? – What Is The Purpose? – Draining a water heater once a year WILL extend the life of your water heater. – Draining your residential water heater of sediment will allow it to heat water faster. – Draining your water heater removes all the minerals (calcium carbonate, lime, and magnesium) and sediment that has built up inside. – Draining the water heater flushes out the sediment that collects mostly at the bottom of the water heater. – Removing the sediment and minerals from inside the water heater makes it so the water heater does not have to work as hard. – Removing sediment from inside the water heater makes it less likely for corrosion to occur. – Flushing out the water heater will enable it to heat the water easier and thus makes it much more efficient. – Removing sediment build up from the water heater creates more space for water to be stored. – Making sure the water heater is free of sediment inside will save you money on electric bills. – If the area you live has extremely hard water then the more likely you will need to flush the water heater. What If I Do Not Flush Or Drain My Water Heater? – The water heater will have decreased efficiency. – Sediment will build up inside causing multiple problems. – Higher electric or gas bills. – Hot water to your home will be reduced. – Sediment may come out of kitchen, bath, and other faucets. – Water heater can corrode and leak. – Water heater may stop working all together. – Leaking water heater will need to be replaced. 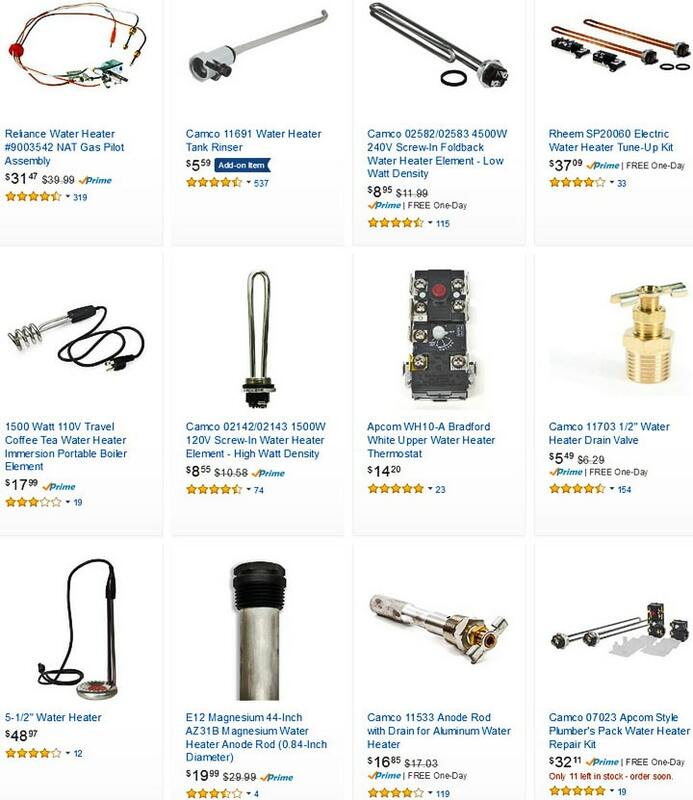 – Parts in the water heater can fail. How To Drain A Water Heater (Electric or Gas)? IMPORTANT NOTE: First read your owner’s manual as there may be certain specific info about your water heater. CAUTION: When draining your water heater the water coming out WILL BE HOT! Use heavy gloves if possible. 1 – Start by turning POWER OFF to your electric water heater at the breaker OR TURN OFF THE GAS and pilot to the gas water heater. 2 – Next turn off the water supply valve that brings water flow into the water heater. 3 – Thread a heavy duty water hose to the bottom drain valve of the water tank. 4 – Put the other end of the hose in a bucket or outside where it can flow out. 5 – Turn the drain valve knob counterclockwise to open it up and let water begin to drain out. 6 – Allow the pressure relief valve on top of the tank to OPEN by pulling up on it and keep it open. 7 – Give the water tank enough time to empty all of the water. 8 – Once the water tank is emptied you will need to open the inlet water valve for 5 minutes. 9 – Allow the inlet water valve to bring water back into the tank to flush out any extra sediment build up. 10 – Once all sediment flows out of the tank and the water is clear, close the water drain valve at the bottom of the tank. 11 – Close the pressure relief valve at the top of the tank. 12 – Remove the hose from the drain valve at the bottom of the water tank. 13 – Let the water heater completely fill back up with water. 14 – If you have a gas water heater then relight the pilot to the heater and turn it back on. 15 – If you have an electric water heater you need to switch the breaker back to ON. 16 – Your water heater is now FLUSHED OUT (DRAINED) and has removed the sediment and now ready to supply you with HOT WATER. HELPFUL NOTE: As a reminder to drain your water heater once a year use a permanent marker and write the date you flushed it out. This will let you know when the last time it was drained and will remind you when to drain it next. Draining your water heater once a year (annually) will help to ensure hot water in your home for many more years to come. 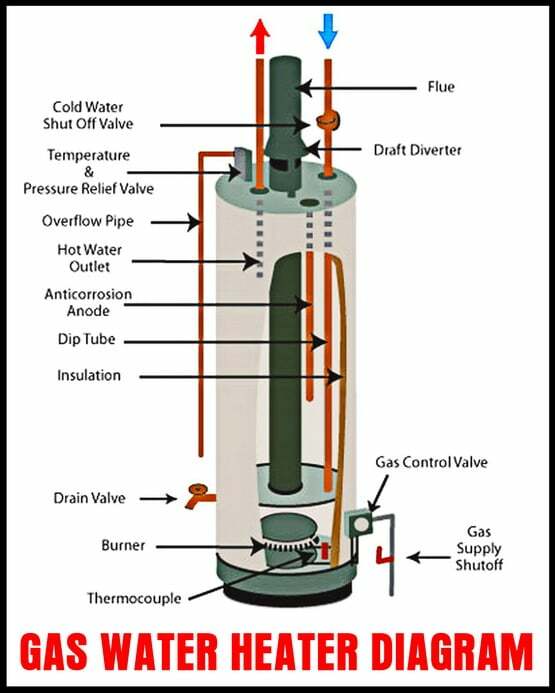 Have questions about draining or flushing an electric or gas water heater? Leave your question below and we will be happy to help by giving you some tips and tricks to drain or flush your water heater. Previous post: How To Delete An App On A Sony Bravia Android TV?